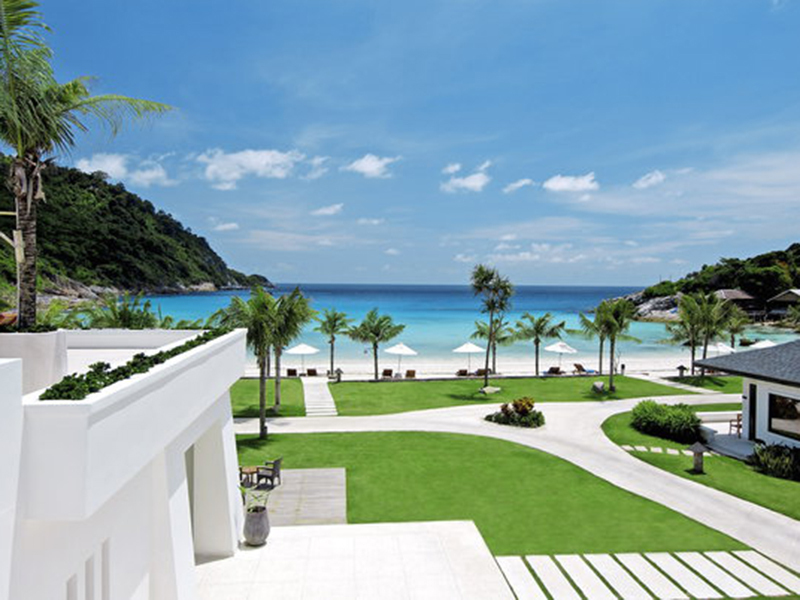 The Racha - Luxury Beachfront Resort, Koh Racha, Phuket - Guaranteed Low Price! The racha situated on the right beach of Racha island. 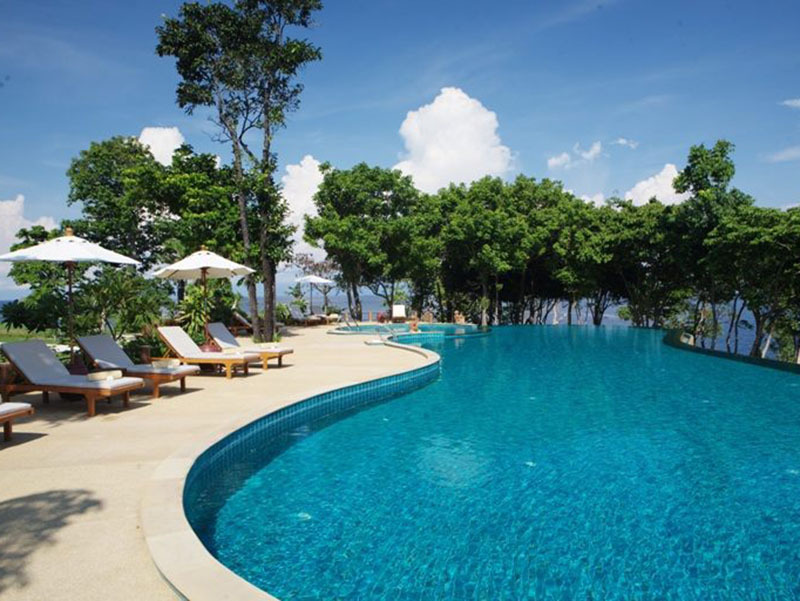 It is just 12 miles south of Phuket, only 35 minutes speed boat from Phuket Pier, Chalong Bay. The Racha features 85 luxurious villas and strives to be recognized as a leader in responsible and environmentally sustainable tourism. The island is known for its natural beauty and has long been known for its excellent corals and marine animals. 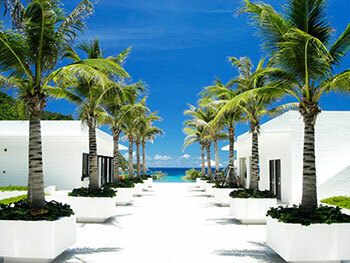 The Racha aims to be at the forefront, leading eco-friendly environment and architecture and development. The rooms comprise with large private terraces, the elegant villas have a flat-screen TV, iPod dock and DVD player. There are sunset Beach Restaurant and Other dining options include international food at Earth Cafe, Fire Grill and cocktails at the bar. 1. Daily breakfast for up to 2 persons is included in the villa rates. 2. The extra person charge for extra bed includes daily breakfast. 3. Maximum 3 persons allowed in a villa. 4. Day bed or baby cot for children below 4 years of age is free of charge. 5. Spa Pool Suite rates is included daily breakfast for up to 2 persons, the extra person charge for extra bed includes daily breakfast. Maximum 3 persons allowed in a Spa Pool Suite. 6. 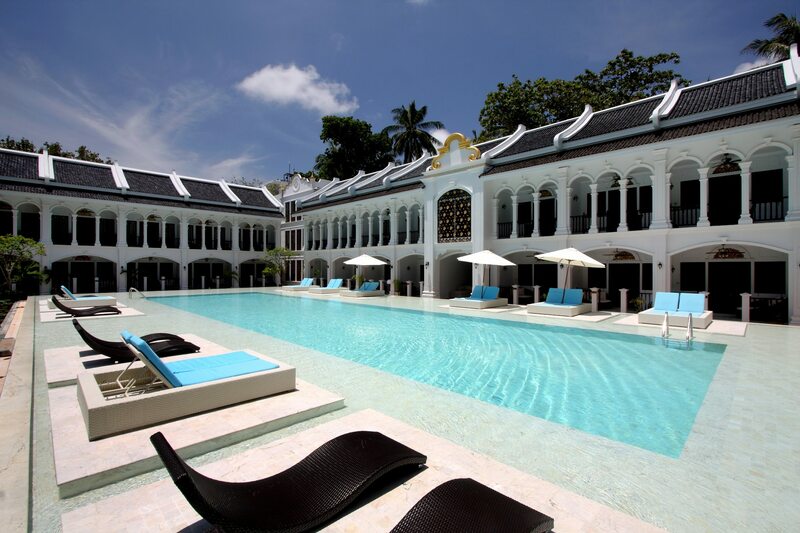 2 Bedroom Grand Pool Suite rates is included daily breakfast for up to 4 persons. Maximum 4 persons allowed in 2 Bedroom Grand Pool Suite. - Valid all year round: One complimentary bottle of wine and sweet for honeymooners. - Children 4 - 12 years of age receive 50% discount on all meal rates. - Airport limousine transfer at 1,250 Baht/Car/Way (max. 3 Persons/Car). - Airport transfer in mini van for small groups at 1,500 Baht/Van/Way (max. 6 Persons/Van). - Free airport transfer and scheduled speed boat transfer for stays with minimum 5 paid nights. - Scheduled speed boat transfer at 850 Baht/Person/Way. - 50% discount for children 4 - 12 years of age on scheduled speed boat transfer. - From Phuket (Chalong Bay) to Racha at 12:00 h. 14.00 h. 17.00 h.
- From Racha to Phuket (Chalong Bay) at 09.00 h. 11:30 h. 16.00 h.
- The above schedule may change subject to flight arrival times of guests or weather and sea conditions, but the boat will not leave earlier than the above schedule in any case. request and will be charged at 400++ THB per person per way. - Guests arriving later than 15.30 h. at Phuket International Airport cannot be transferred to The Racha on the same evening, as we do not operate the boat at night time. The Racha will assist in making alternative arrangements for overnight stays in Phuket in case of late arriving flights or delays, but will not be financially responsible. Please also notice that guests are encouraged to wear appropriate and light attire for the boat transfer. The Racha will not operate its boats if there is the slightest safety concern or in case of strong winds or uncertain sea conditions. Every effort will be made by our land based staff in Phuket or at The Racha in case you are on The Island to assist in making alternative arrangements for the guests until the situation is considered safe. 13.We reserve the right to change these prices, product details, all terms and conditions at anytime without prior notice.